The Second Event Of “Türkiye Talks” Series For The International Student Academy Held In Istanbul Emek Cinema With Guest Speaker Prof. Haluk Dursun, Deputy Minister Of The Ministry Of Culture And Tourism Of Turkey. 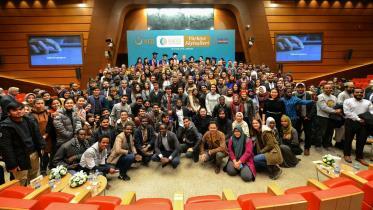 Organized within the scope of The International Student Academy, the second event of “Türkiye Talks” was held at the historical landmark Emek Cinema in Istanbul. Guest speaker Prof. Haluk DURSUN, Deputy Minister of the Ministry of Culture and Tourism, spoke to students about the historical and cultural sites and landmarks in Turkey, with special focus on Istanbul. The deputy miister also gave some advice to students suring his speech. 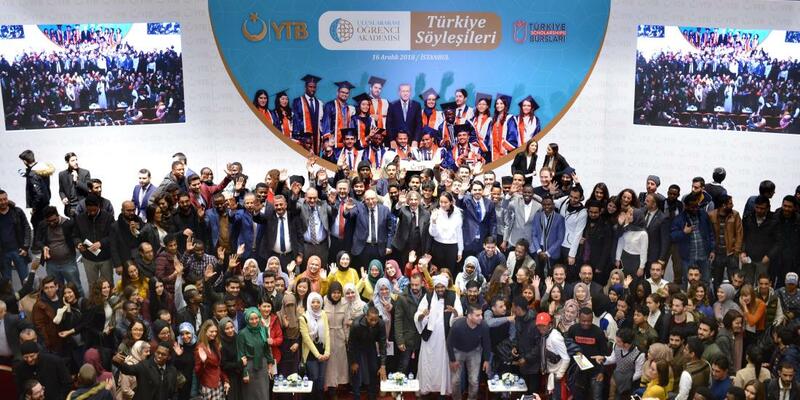 Among the participant speakers in the event were, Abdullah Eren, the Head of the Presidency for Turks Living Abroad and the Related Communities; Ahmet Misbah Demircan, Head of Beyoğlu Municipality as well as may international students studying in various universities in Istanbul.